A lot of time, effort and money are spent when deciding how to cover the floor of your house or building. The floor covering is an important part of the building, which greatly impacts the overall design. Although everyone has different preferences when choosing the floor, some of the common features that you need to keep an eye out for are a good design, durability and cost. Vinyl flooring is one of the best available options. 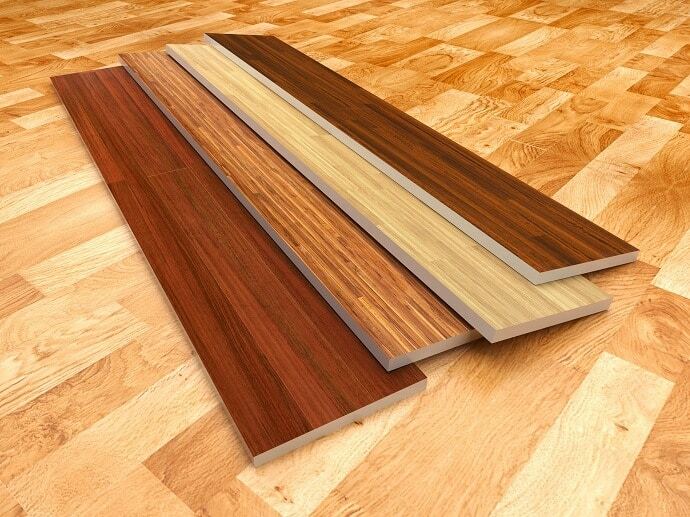 The design of vinyl flooring is similar to hardwood and it also has great durability like laminate flooring. Luxury Vinyl Planks (LVP) (or Luxury Vinyl Tiles) have a diverse range of styles to choose from and are also cost-effective. The installation process is also convenient. The COREtec Plus Vinyl tile flooring is one of the best options available when it comes to vinyl tile flooring. It gives you a state of the art designs at a reasonable budget. COREtec Plus, which is manufactured by US Floors, is a high-quality luxury vinyl tile flooring. Its design is an exceptional blend of beauty and practicality. The planks have a micro bevel edge which gives it a true hardwood look. Not only does it very closely resemble hardwood (more so than laminate flooring), it has real texture and graining. COREtec Plus comes in a number of wood grains such as rustic look, extra-wide planks, extra-long planks and multi-tone planks. Color options include light dark, red and whitewash/gray. Water spillage is not an issue for the COREtec Plus flooring as it’s designed to be waterproof. This means that the flooring can also be installed in places such as the kitchen or other areas with moisture or water. The COREtec Plus luxury vinyl planks are constructed of four layers. On the top is a 0.5mm clear wear layer, which protects it from wearing and damage. It also makes cleaning of the product easier and faster. Below the wear layer is a luxury vinyl layer. The design and color of the vinyl layer give the product its high-end look and feel. The core structure of the COREtec plus is underneath the luxury vinyl layer and is made up of recycled limestone, wood and bamboo dust. The fourth layer is an underlayment of cork, which provides extra insulation to the floor and absorbs noise made while walking on the floor. COREtec Plus 5” Plank is a traditional wood-look Luxury Vinyl Tiles that is sized 5” x 48” x 8mm, with micro-beveled edges and ends. The product comes with limited lifetime residential, structural and waterproof warranty. It also has a 10-year commercial warranty. This elegant line has color options of oak, pine, walnut, maple and hickory aesthetics and ranging from warm yellows to grayish tones. COREtec Plus 7” Plank is slightly wider than the 5” plank with the dimensions 7.125” x 48” x 8mm and features an industrial and distressed look. The glueless installation process makes the planks easy to install. Color options include urban color tones like beige, coffee tones and several interesting grays. COREtec Plus Premium features a 20mm wear layer and uses Embossed-in-Register (RIR) technology for enhanced visual effect. All planks have a four-sided enhanced bevel edge and a 3mm cork underlayment. The two available dimensions are 7.13″ x 72.05″ x 12mm and 8.98″ x 72.05″ x 12mm. Fourteen color options are available, with 3 in pine and 11 in oak designs. COREtec Plus Tiles are rectangular tiles (with dimensions 12” x 24” x 8mm or 18.5” x 24” x 8mm) that give a classy look resembling real stones but are softer to walk on. These tiles are also a good option to use in a bathroom. There are two tile types – large and regular tile. The large tile features three designs, petrified forest, antique marble and weathered concrete. There are eleven color options to choose from which include slate, travertine and marble stone. COREtec Plus Enhanced Tiles come with 10 color options to choose from, the product is waterproof and comfortable to walk on. The plank size of the line is 11.97″ x 23.62″ x 8.0mm. COREtec Plus Enhanced Planks features a 4-sided painted bevel to increase realism. This exquisite line features 12 types of decors to choose from. The planks measure 7.09” x 48.03” x 8.0mm in size and have realistic and innovative designs. COREtec Plus XL is the longest and widest wood-look plan of the product line (9” x 72” x 8.mm). The plans mostly feature the oak-wood look. The fifteen different colors to choose from range from deep gray to a whitewash look. COREtec Plus XL Enhanced line has 18 decor options, with dimensions 8.98″ x 72.05″ x 8.0 mm. The planks feature an embossed grain pattern. COREtec Plus HD is the most detailed line that measures 7″ x 72″ x 8.5 mm. The manufacturer claims that this is the most visually realistic product available in the market today. They consider this due to the use of the Embossed-in-Register (EIR) technology together with a four side painted micro bevel edge to make the HD product line. 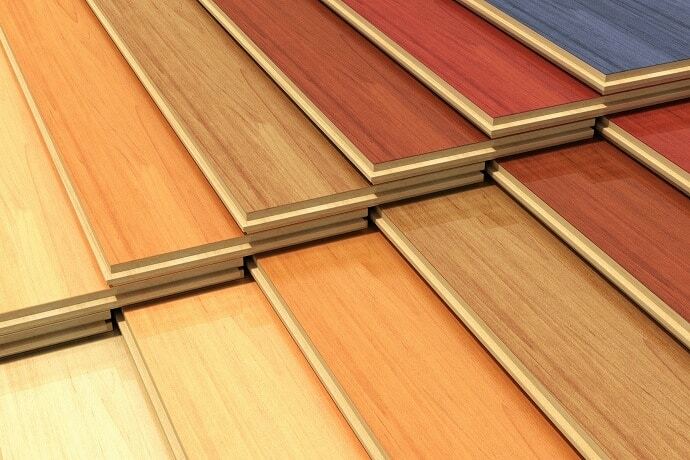 COREtec Plus Designline has multi-toned and multi-width planks (5″ x 36″ x 8 mm, 7″ x 72″ x 8 mm and 9″ x 72″ x 8 mm). They provide a diverse range of options to customize the flooring. The ten color options include seven wood-looks and thee stone-looks. COREtec Pro Plus Line is specifically designed to be more durable and sustain high traffic areas. Recommended for commercial use, along with residential use, they have a 15-year limited heavy commercial warranty. 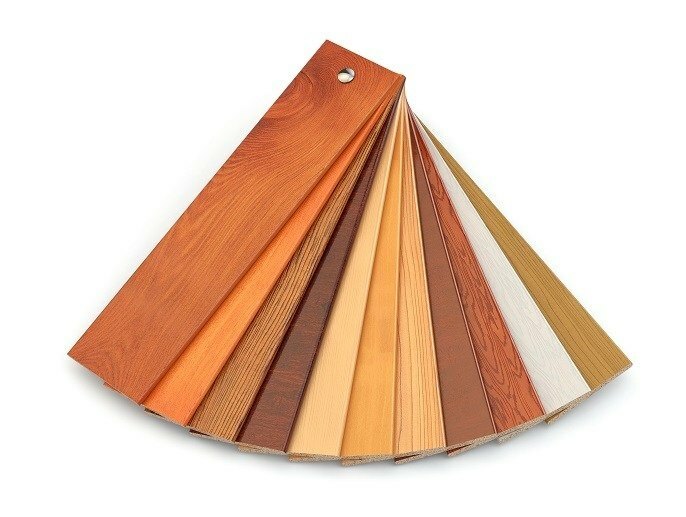 The planks measure 7.20” x 48.03” x 5.0mm and come with 12 colors to choose from. COREtec Pro Plus Enhanced features an extra-dense Solid Polymer Core (SPC) for better stability and durability. They are recommended for both commercial and residential use and also feature a 15-year limited heavy commercial warranty. They have 13 color options available. COREtec One is the original COREtec range which comes with eight color options including golden, gray tones and chocolate. COREtec Plus planks don’t require any acclimation which saves a lot of time. On top of that, very little floor preparation is required which makes installation easier. They can be installed on top of most floor surfaces given that the floor is even (or nearly even). It can be installed, among other floors, over concrete, tile and hardwood. Installation is also possible over radiant heat. The COREtec Plus line is waterproof which allows installation in areas with water or moisture. The product can also be installed below ground, such as in basements, which provides further flexibility in deciding where to use it. The floating clickable floor feature allows customers to install the product without requiring professional help. The layering of the planks makes them easy to clean and hide minor unevenness which may exist in the floor. Walking on the product is also comfortable and quiet. The product may not work very well on uneven floors. Although the clickable floating floor feature makes installation easier, the planks may depress or move when you walk over them if the floor is uneven. This will require you to even out the floor before installation. Moving heavy items across the floor can scratch the vinyl surface. This is not a major downside as this is a common occurrence in all kinds of floors. One can also prevent this from happening by avoiding moving sharp objects over the flooring. When looking at the differences between vinyl plank vs laminate flooring, COREtec flooring has numerous benefits. It has a more realistic look than laminate flooring. The layout of COREtec is done with individual plank pieces. Laminate floorings are mostly 8″ wide and seem like several pieces are put together, but in fact, they are a single piece. Laminate flooring is not waterproof, whereas COREtec is. This is a great advantage since laminate flooring can’t be installed in places with moisture because the flooring warps can’t be repaired afterward. Walking on the COREtec floor is less noisy compared to laminate flooring and it’s also more durable than laminate. Installation is quicker as it does not require acclimation. Laminate flooring, on the other hand, does require acclimation. One possible disadvantage of COREtec, when compared with laminate flooring, is that it costs more than laminate. However, when you consider the benefits and durability, the cost is not such a huge issue and should be considered as an investment rather than an expenditure. COREtec flooring resembles hardwood flooring, but it’s still only a resemblance and not actual engineered wood. There are, however, various advantages of using COREtec flooring over hardwood flooring. In terms of durability, COREtec has the advantage over engineered hardwood. The top-most clear wear layer on this flooring allows it to hold better against scratches than hardwood. Engineered wood is not waterproof and replacement after damage can prove to be very costly. In this regard, COREtec is waterproof and allows comfort of usage. Walking over engineered wood flooring can become very noisy. In comparison, COREtec is quieter and also less expensive than engineered wood. The installation process of COREtec is quicker. It takes longer to install hardwood flooring as it requires acclimation time before installation. Tiles have been and still are widely used for flooring purposes. The COREtec Luxury Vinyl Planks, when compared with tiles, have a range of benefits to offer product users. Floor tiles are a lot harder compared to COREtec. Due to this, walking over tiles is not as comfortable as walking on COREtec. The feel of the flooring is very important, even more so when used in a space where you walk a lot. COREtec flooring is easier on your feet than tile floors. Tile flooring easily tends to feel cold to walk on. Walking on COREtec is warmer and more comfortable. When comparing durability, COREtec has the advantage of not cracking easily. Tile cracks can occur commonly, which ruins the look of the floor. Cleaning is a lot easier on COREtec than it is with tiles. This ensures you have a luxurious and clean looking floor all the time. Cost is an important consideration when looking for the best plastic floorings. Tiles can cost more than COREtec. COREtec flooring has an easy installation process. If you have some previous do-it-yourself installation experience or even if you’re willing to try, then you can avoid paying professionals to install the floor. COREtec, unlike some of the other luxury vinyl planks, doesn’t require acclimation time before installation. Further, very little floor preparation is required to install the floor. This saves a lot of time and effort. COREtec Plus is a floating floor, which means that it can click together. Base molding or shoe molding is used to secure it to the edge of the room. It can easily be installed over your existing hard floor surface. The installation of planks can be done in any direction according to your choice, be it straight inlay or diagonal. COREtec Plus can hide minor imperfections on the floor. It’s more rigid and thicker than glue down vinyl, which helps it hide unevenness. The cork underlayment also helps in this. You should clean the subfloor, remove any debris and dry it before installing the COREtec. You’ll need to have some basic tools for installation. These will include a tape measure, hammer and blue painter’s tape. You may also need a crosscut power saw and a tapping block. You’ll be provided instructions by the manufacturer in a manual with your COREtec Planks. Just follow the instructions properly and the process will be quick and smooth. The COREtec Plus line is highly durable and easy to maintain. You should, however, follow some general rules to ensure that your flooring stays in perfect condition. Moving furniture across the flooring can cause scratches on the surface. In order to protect the flooring, always use a furniture dolly or hand truck when doing this. You can even place felt pads under furniture that needs to be moved frequently. Frequent exposure to the sun and heat can also cause damage to the flooring. Where the floor is exposed to sunlight, use drapes and blinds to prevent thermal degradation. You can use steam mops and vacuum cleaners to clean the floor and remove any unwanted dirt and debris. Steaming mops are good for deeper cleaning. To ensure protection and finishing for floors, make sure to use a durable sweeper to clean the floor. Outdoor rubber mats shouldn’t be placed on the floor as they may discolor the flooring. Use non-staining mats instead. Don’t use harsh cleaning products or chemicals and also avoid using cheap vacuum cleaners. Let your floor dry properly after cleaning. A lot of thought goes into deciding the right flooring. The flooring is meant to last a long time, although you can change the décor around it anytime. This means that you need to find a flooring option which isn’t only good in terms of look but is also long-lasting and provides comfort. When deciding which floor will be right for you, you should keep some general guiding parameters in mind. Durability is an integral factor when deciding which floor to use. How much traffic the floor will take should be given consideration. The more movement there is on the floor, of people and objects, the more likely it will be to get damaged. A protective layer on the top of your flooring will ensure that your floor doesn’t get scratched or damaged easily. COREtec Plus has a wear layer which prevents surface scratches. When deciding where to put new flooring, an important thing to consider is if the floor will be resistant to water. In areas where there is a possibility of water spillage and moisture, such as the kitchen or bathroom, you’ll need water-resistant flooring. If your flooring is not water resistant, it can easily get damaged and will be costly to replace. The installation process of the flooring needs to be considered. Some floorings will require acclimation time and professionals to fix it. Other flooring options can be quicker and easier to install. COREtec Plus is easy to install, doesn’t require acclimation and can be done at home. Maintenance is a key deciding factor for many people. Hardwood flooring requires strict maintenance. Vinyl flooring is easier to maintain and clean. Damp mops can also be used to clean vinyl planks. If you have pets in your home, you need to ensure that the surface of your flooring is wear resistant. This will keep your floor scratch free and spotless. The diverse range of styles and designs can often lead people to be confused while choosing the floor. The size of the planks or tiles you chose is one consideration. You also need to decide what the layout of your planks will be. Deciding the color shade and tone can also be daunting. But deciding the right color is also very important for the overall decoration of your building. The cost of the flooring is an important deciding factor for many customers. Different types of flooring have varying cost. Luxury hardwood can be a very expensive option. You can find high-quality luxury vinyl flooring around the $4 per square foot range. Deciding how much to spend on your flooring can be tricky and make you wonder if the higher cost will give higher quality. Just because a certain type of flooring is very expensive doesn’t mean it’s guaranteed to be the best fit for you. Excellent flooring options, such as the COREtec Plus lines, can be bought cheaper than expensive wood floorings and yet prove to be the better choice for you. COREtec flooring can be installed over radiant heated subfloors. While doing so, be sure to turn off the heat 24 hours before, during and 24 hours after installation. Can COREtec flooring be trimmed easily? Yes. COREtec flooring can be trimmed easily before installation if required. Is COREtec flooring scratch resistant? COREtec Plus Luxury Vinyl Planks have a 0.5mm wear layer which prevents the surface of the tile from damage. However, dragging heavy furniture or sharp objects across the floor may scratch the flooring and should be avoided. Can you steam mop over COREtec flooring? Damp and steam mops can be used to clean COREtec flooring. Clean water and a diluted floor cleaner should be used, whereas harsh cleaners and chemicals shouldn’t be used. Does new flooring (vinyl or laminate) increase home value? Yes. New home flooring can increase the value of our home. Different types of flooring have varying impacts on your home value. Hardwood flooring increases the value the most. Luxury Vinyl Flooring also increases home value. Where can you buy COREtec flooring? COREtec Plus is available for purchase in most local flooring and carpet stores. It can also be bought online, for example on Amazon. COREtec Plus may be the right choice for you if you want high-quality and stylish flooring for your house. This floor has a patented design which is highly durable. The layering of the planks provide protection from damage, reduce walking noise and is comfortable to walk on. Since the COREtec Plus planks are waterproof, you have more flexibility when deciding where to install them in the house. You can even use the flooring in your basement, kitchen or bathroom. It doesn’t warp or shift the way wood can. COREtec Plus has an extremely realistic looking design. It has specialized embossing and resembles real hardwood flooring. There’s a range of styles and colors for customers to choose from. The diversity in the COREtec product line allows you to easily find the flooring you need. The installation process is very simple. You can even do it yourself at home and avoid paying a professional to do it. Since COREtec Plus planks don’t require acclimation time, the process is also quicker than most other flooring options. If you want flooring which is easy to maintain, then COREtec Plus is a good option for you. The layering of the planks makes the cleaning process easier and since the planks are waterproof, you can even use damp mops to clean them. 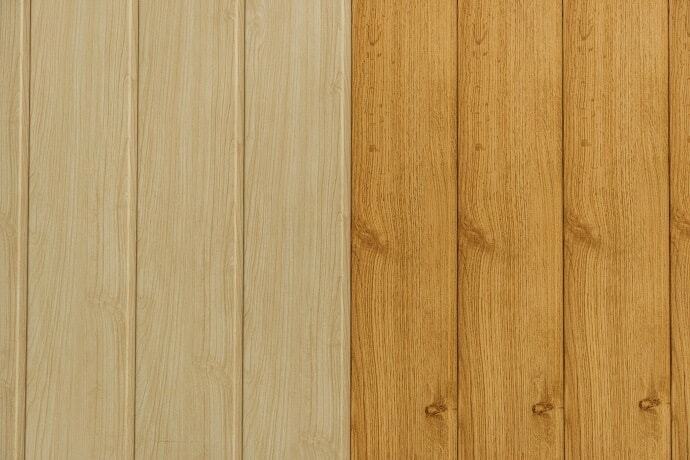 COREtec Plus provides you Luxury Vinyl Planks, which are high-quality, durable and stylish. Not only do the planks have exceptional designs, they are also comfortable and warm to walk on. They provide the luxurious look of wood but are easier on the pocket. Overall, the COREtec Plus line is a well-rounded flooring option for you. Photos from: maxxyustas / depositphotos.com, FlashDevelop / depositphotos.com, scanrail / depositphotos.com, AllaSerebrina / depositphotos.com and photography33 / depositphotos.com.